Radiohead have written a new song, Super Collider, in tribute to today's experiment to recreate the conditions of the Big Bang using a large Hadron collider. Deep underground on the Swiss border, a massive machine has been built that will test a number of theories surrounding the Big Bang - the moment when the universe was created. The Hadron collider is an enormous particle accelerator - the world's largest, and with the highest energy. It was funded and built by over 8000 physicists, and represents the largest collaborative scientific experiment in the history of mankind. There are naysayers who have argued against the experiment - they believe that one of the consequences of its failure would be the destruction of the universe as we know it. In other words, a huge drag. The experiment works by firing protons along the 27 kilometre accelerator. 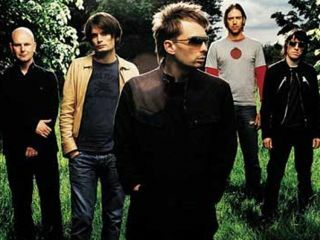 The project has caught the imagination of Radiohead's Thom Yorke, who has chosen to immortalize the machine in song. Click here to watch Radiohead 's performance of Super Collider. And have a bang!